What to look for when buying a used Kia Optima? The Kia Optima is a four-door, midsized sedan that is now in its fourth-generation. The Optima is sold globally, sometimes under other model names, and is one of the best-selling vehicles in Kia's lineup. The Optima is most well known for its reliability, fuel economy, and low purchase price. The first-generation Kia Optima entered the market in 2000 as a rebadged version of the Hyundai Sonata. Sales figures for the first-generation Optima were modest, but steady in the United States. In 2005, the second-generation Kia Optima was introduced to market. Although still largely based on the Hyundai Sonata, this new Optima was much more differentiated in body styling and was based on Kia's new global platform intended to make the company more competitive. Higher crash-test results and a well-received four-cylinder engine were hallmarks of this second-generation Optima. The third-generation Optima was introduced in 2010 as a completely redesigned and Kia-unique vehicle. This was a new, sportier-looking, and more upscale Optima compared to previous generations. A new, very modern four-cylinder engine was introduced with the new car and either a six-speed manual or six-speed automatic were offered. The Kia Optima Hybrid was introduced in 2011. The fourth-generation Kia Optima came in 2016 and once again began sharing a platform with the Sonata. Continuing with the previous generation's sportier theme in design and more upscale interior, the new Optima. The Hybrid was continued and a Plug-in Hybrid (Kia Optima PHEV) was introduced in 2016. Although Kia has one of the best warranties in the industry, at 10 years or 100,000 miles, the Optima does suffer from some consistent problems. Engine failures in 2011 and 2014 model year Optima cars are not uncommon, though they usually happen within the 100,000-mile warranty period. Low-mileage third-generation Optima models are also often found to have steering misalignments after tire rotations. The Optima is otherwise well-respected for durability. What is the average price for Used Kia Optima? How many are for sale and priced below market? What Kia Optima model year and mileage can you get for your budget? Where does used Kia Optima rank in comparison to competitor vehicles? What Is The Average Price Of A Used Kia Optima By Model Year? What Is The Average Price Of Competitor Cars To The Used Kia Optima? What Is The Average Price Of Used Kia Optima In The Top 10 Cities? 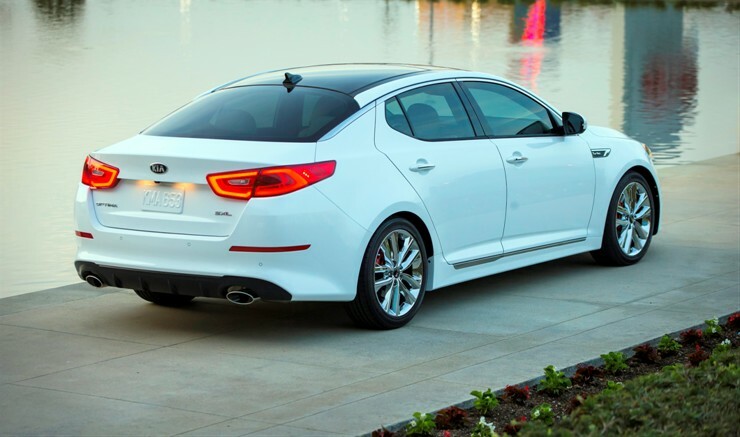 The Kia Optima family sedan has been a runaway hit for this Korean automaker and it's easy to see why. No, it's not because it offers a wide range of powertrains to appeal to any driver from the eco-friendly hybrid to the base 2.4 liter 192 horsepower 4-cylinder standard in EX and LX trims or even the riotously powerful 2.0 liter tubocharged 4-cylinder tested here which puts out a class leading 274 horsepower/269 lb. feet of torque. No, what the Optima managed to do since the day it first went on sale was bring true style and elegance to the family sedan class. Sadly, it's still true to this day that most sedans geared at the family sedan buyer are at best conservatively handsome and at worst bigger stylistic disasters than that polka dot number your Aunt Florence wore to the last family reunion. We won't name names, of course but we still can't help but think that from the front the latest Nissan Altima looks like a misshapen pig. Whoops, sorry, we named a name there. On the other end of the spectrum the Volkswagen Passat is a very handsome large sedan but it is very conservative in its styling which most automakers feel their buyers in this segment want. 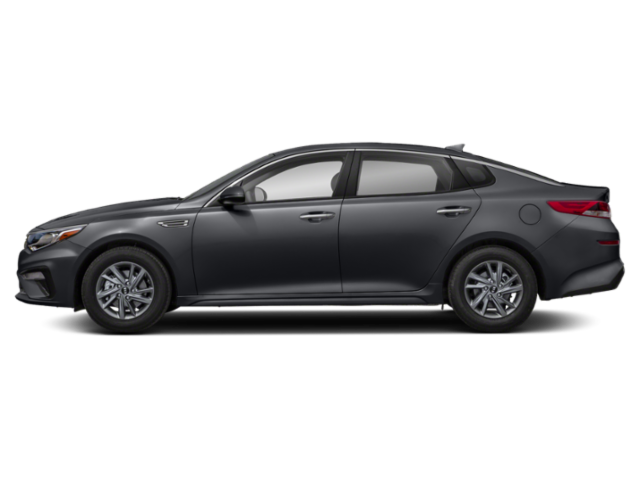 But the Kia Optima proved that theory wrong with its bold tail lamp design, sporty looking razor blade grille and handsome headlamp shape all the way to its sloping greenhouse which when equipped with the panoramic sunroof looks amazingly cool when it is opened. Thank ex-Audi designer Peter Schreyer for imbuing this Audi with a look that made Kia's start to look expensive and feel that way too. The interior in our top of the line SXL Turbo model was loaded to the gills with every available gadget, gizmo and optional extra and its quilted Nappa leather seats reminded more than one person of the seats in a Bentley. Yes, we just said that. So what's the catch? It must drive like a porpoise riding big surf, right? Oddly, no, this SXL turbo turned out to be a sedan that in fact did like to "party all the time," to paraphrase the hit song by Rick James from the 1980's popularized by none other than Eddie Murphy. But how did we get the Optima in the mood to want to party all the time? Well there's a secret we will tell you all about in the Driving Impressions section. Read on to find out more. Sadly, it's still true to this day that most sedans geared at the family sedan buyer are at best conservatively handsome and at worst bigger stylistic disasters than that polka dot number your Aunt Florence wore to the last family reunion. We won't name names, of course but we still can't help but think that from the front the latest Nissan Altima looks like a misshapen pig. Whoops, sorry, we named a name there. On the other end of the spectrum, the Volkswagen Passat is a very handsome large sedan but it is very conservative in its styling which most automakers feel their buyers in this segment want. The 2013 Kia Optima is a teenager in the automotive world, only in its third generation of production. As far as midsize sedans, this one walks the middle of the road for some and hits the mark for others. It is a model of safety and reliability while mixing in a good deal of economy. For the 2013 Optima, Kia has discontinued the EX Turbo trim but has instead gone a bit classier and added a top-level Limited trim. A hybrid model is once again offered for this year, and there is a choice of two available four-cylinder engines. Some of the less-than-desirable features are a lack of headroom and a somewhat cramped cabin, but the 2013 Kia Optima remains a stylish economical option in the midsize sedan category. It remains a gold standard in the safety category, which makes it nice choice for first-time drivers.